In this article Mark Ford looks into digital marketing methods and shares 6 digital marketing strategies for online success for your home business. If you are a small business owner you probably realise that you have to start marketing online to attract the right audience for your products. The majority of people now look to the internet first to find solutions to their problems so although traditional marketing methods still work they are taking somewhat of a back seat to the internet ways to market a business. Okay… you are unsure which online marketing strategies are available. Well… let me share with you 6 digital marketing strategies for online success that you can look into to see which suits your home business best. Out of the 6 I share with you I suggest you start with 2 or 3 and learn them inside out to become proficient before you go onto the rest. Also at the end of this post I will introduce you to a free online marketing bundle that will teach you the fundamentals of internet marketing and the process for making money online. To become successful online you must set up a base, your home on the internet, or in other words your virtual real estate. 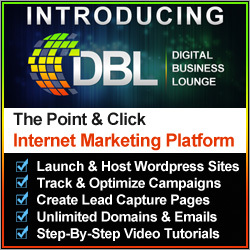 Now you can have a blog or website or a combination of the two but whichever you decide upon it will give you a web address where people can find you and learn more about your home business. I recommend you have an active blog facility because you can then post regular content about your home business which will help you build up a loyal readership or fan base. Within your content you can promote your digital product offers at the same time as providing value. Many small business don’t look at this at the start because it involves spending money and that puts them off. What I will say though is that you are more likely to see results quicker if you pay for traffic to visit your website rather than free marketing strategies which are more long term strategies. The choice of course is yours. There are many paid marketing platforms such as Google Adwords, YouTube Ads and many social media platforms have paid marketing solutions attached. 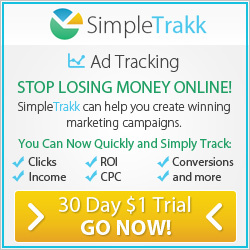 Usually you pay when someone clicks on your ad and then is redirected to you website. This is called Pay Per Click but there is another method where you pay for a certain amount of impressions which means the amount of times your ad is displayed. I would suggest you invest in some high level training to fully understand paid marketing before you set up your first campaign because if you don’t know what you are doing it can become very expensive. Whatever industry you are in there will be directories where you can list your home business to enable people to find you. This is relatively inexpensive but can be quite time consuming. If you have some spare time it may be worth your while. As I have mentioned many social media platforms offer paid marketing solutions but you can also market your business for free by setting up profiles for your business and then posting valuable and informative content relating to your business and the industry that you are involved with. Social media is great for building relationships with potential customers and the best way to do this is to start a conversation with them, wait for their response and then respond back. Your fans will then begin to know who you are and what you stand for and then will like and trust you which is where you can convert them into customers. There are many websites online where professional people can network with each other and the most popular one is LinkedIn. Here you can connect with people who are looking for your services along with potentially forming business partnerships. Like social media the best way to utilize LinkedIn is to subtly promote your business while building relationships and always be prepared to give rather than thinking about what you can get out of it. The rewards will come. Still as powerful now as it ever has been. You can build very large databases of subscribers who you can communicate regularly with by providing value. Concentrate on building your list and don’t buy names because one of the fundamentals of email marketing is building that important relationship. Once you have done this you can promote products and services to a responsive list to make sales. Also it is a great communication tool to inform your subscribers about updates on your home business and industry which they will appreciate. The Six Figure Mentors have taught thousands of people how to start a profitable business online in any niche or industry. They have cutting edge training and mentoring programs that cover all aspects of digital marketing. They are for a limited time offering over $350 worth of online business education within a online business start up bundle which will show you the process for making money online selling products and services in any niche. To learn more about this bundle click on the banner below. 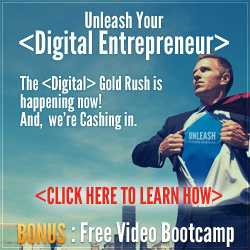 I have shared with you 6 digital marketing strategies for online success and given you access to a fantastic free resource. 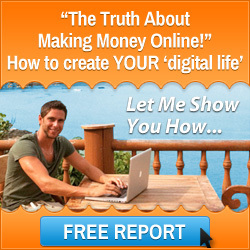 If you have an online business then I encourage you to take action on what I have shared and I wish you every success. This entry was posted in Digital Marketing and tagged digital marketing strategies for online success, mark ford. Bookmark the permalink.